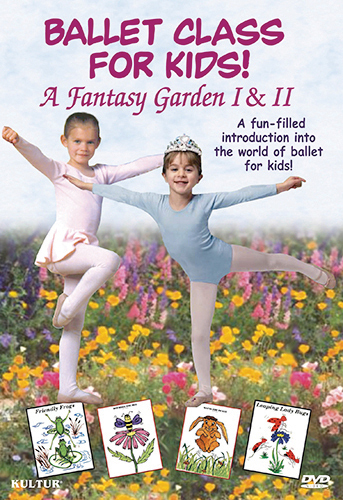 Learning ballet is fun and easy with these two acclaimed programs created especially for preschoolers. Each of the basic ballet steps is associated with adorable flower and animal characters that make it easy to remember ballet terminology. The pictures of these fun characters seen before each exercise will stimulate your child’s creativity and imagination! 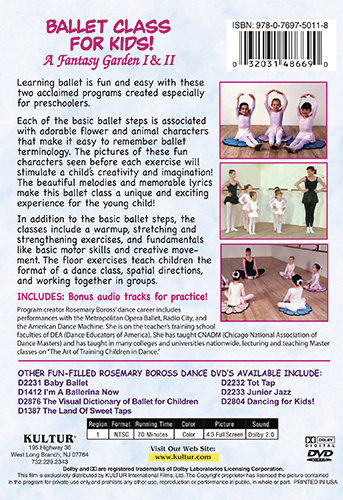 The beautiful melodies and memorable lyrics make this ballet class a unique and exciting experience for the young child! In addition to the basic ballet steps, the classes include a warm-up, stretching and strengthening exercises, and fundamentals like basic motor skills and creative movement. The floor exercises teach children the format of a dance class, spatial directions, and working together in groups.